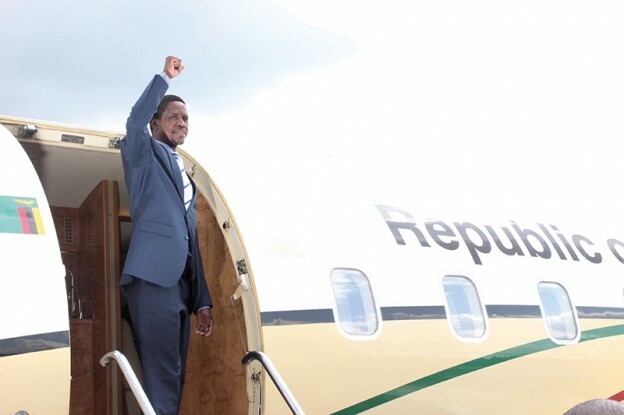 Zambia’s number one tourist ‘Jonathan’ Edgar Lungu is on Thursday jetting into Rwanda to attend the inauguration ceremony of Rwanda’s President-elect Paul Kagame. Minister of Foreign Affairs Harry Kalaba announced that Lungu has ‘accepted’ the invitation from his counterpart and claimed it was in the spirit of cooperation and solidarity. Kalaba says the two will also discuss the security situation in the Great Lakes Region. On Friday 18th August Lungu will connect from Rwanda to South Africa to attend the 37th Annual Southern African Development Community -SADC- Summit in Pretoria from 19th to 20th August, 2017. ‘The Head of State will proceed to South Africa on 18th August, 2017 after Mr. Kagame’s inauguration ceremony,’ Kalaba confirmed. is now waiting for another invitation to attend Uhuru Kenyatta’s inauguration in Kenya.